I am excited to introduce you to Abigail and Roman - a super sweet and fun couple who are celebrating their wedding day this year in August! Abby and Roman met at a friend's Halloween birthday party, where Abby took notice of a Jabbawockee (you can guess who) and hung out the rest of the evening with friends. They soon found out that they lived in a small world where all their friends knew one another, including Abby's younger sister who already knew Roman from school! After a few more instances of bumping into one another, Roman finally asked Abby for her number. Eventually, texts were flying, a snowboard trip to Whistler and many hangouts in between, Roman asked Abby to be his girlfriend in Queen Elizabeth park - the same spot he ended up proposing to her (Except this time he gave her a gorgeous ring and the promise of his love...!) 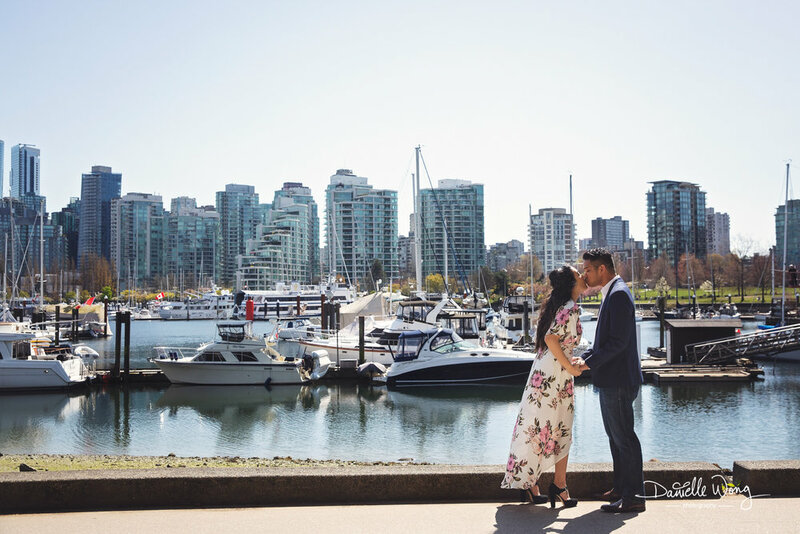 Our engagement session took place in Stanley Park on a beautiful spring day. I cannot wait to capture more of their love for one another in August on their wedding day!